Promote and instill good lab safety practices in your students. 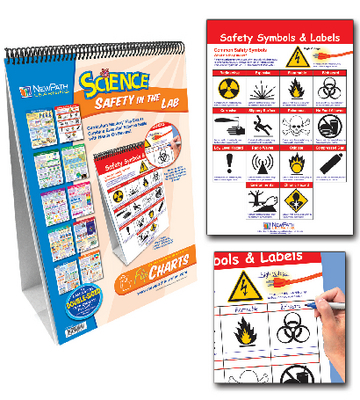 This set of ten double sided posters are dual purpose; on one side, students will see a graphic overview of the product while the other side serves as a "write-on/wipe-off" activity chart. Included with this set is an activity guide which features copy-masters and exercises. The flip chart is spiral bound and sits on a durable, free-standing easel. Size: 12" x 18".